Okay, so! Here's the chair that I did a while back. It may look the same but there are a couple of small improvements. 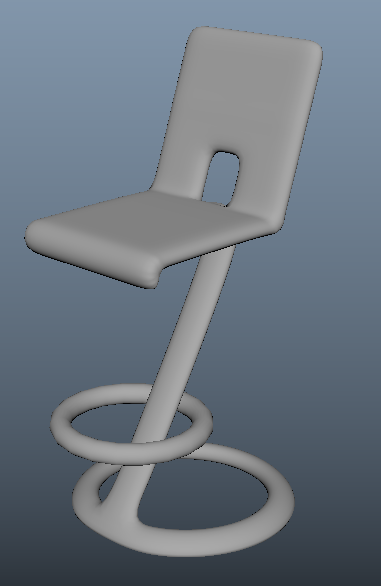 There are supports on the ring(torus) that are holding it to the chair, grounding it and making it more realistic. You can't see it here, but they are there. I'll get a screenshot of the supports. So close!! I'm almost caught up to all my submissions! Just a few more to do. I finished a lot of requests as well as some personal stuff which I'm more than excited to share. Am proud of myself for not being lazy, for once, in doing submissions and all that.